Osaki is a brand that is continually reinventing itself. They do this year and year again with new makes and models that dominate the industry in their style and sophistication. One of the newest releases to this line up is the Osaki OS-7200H. Just as with generations of chairs before, this massager does not disappoint. The 7200H is packed with features that are sending buyers running. With an eye on comfort and sleek design, without sacrificing functionality, this chair is among the best that the industry has to offer. For those who are aware, this chair takes the Osaki 4000T to the next level. For those who are not familiar with that previous chair or are interested in learning more, this review focuses on the different options and features. Zero gravity is not just reserved for space adventures. 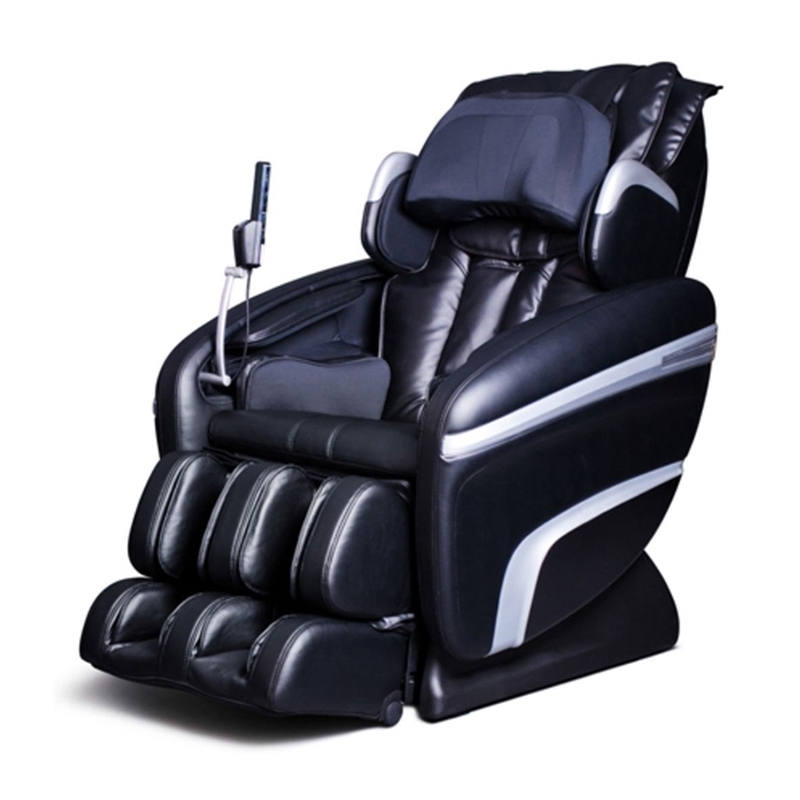 It is also a great feature in many massage chairs, including the OS-7200H. Zero Gravity refers to a trend in chairs where the body can be positioned into a weightless-like massage position. This position is reclined and allows the body to open up to the massage experience. There is an overall feeling of relaxation because tension that is put on the pulmonary and cardiovascular organs is naturally lifted when the body is in this position. It is also why this feature is socoveted and so needed on a device. The rollers in the 7200H are among the best in the business. These rollers are advanced and really are a step up from the other models. The massagers are not just horizontal in their functioning. They go both horizontally and vertically allowing the user a two-leveled massage approach. The more massagers and the more directions, the more equipped the chair is for handling the different contours of the body. The better and more precise the massage which allows the user to get a true massage experience with a high level of intensity as well. Air bags are essentially the backbone of any chair. The Osaki OS-7200H knows this and has developed a machine that is highly focused on air bags and their functionality. There are numerous air bags throughout the chair that help to provide that cushioned support. They also translate the massage motion and intensity to the individual in the chair. These air bags, coupled with the additional comfort supports, make it one of the best machines on the market. For those who are taller, many different products and furniture do not suit the needs of the body. Being taller means that chairs can hit in the wrong place and cause pain instead of comfort. The Osaki OS-7200H takes this into account and provides a system that can meet the massage needs of taller individuals. The reason is because the chair has numerous rollers of an extended length. This length allows all parts of individuals of above average height without having to have specially adapted equipment. This feature is another one of the reasons that the 7200H is so popular. The intensity factor is another great aspect of the Osaki OS-7200H. This chair has more than one intensity setting. This means that it can be adjusted to fit the needs of that particular user. Some need a more intense massage while others need something a bit weaker. With the intensity adjustable across five settings, the user can choose what is needed and make sure that the chair provides just that to them. And that is a beautiful thing!